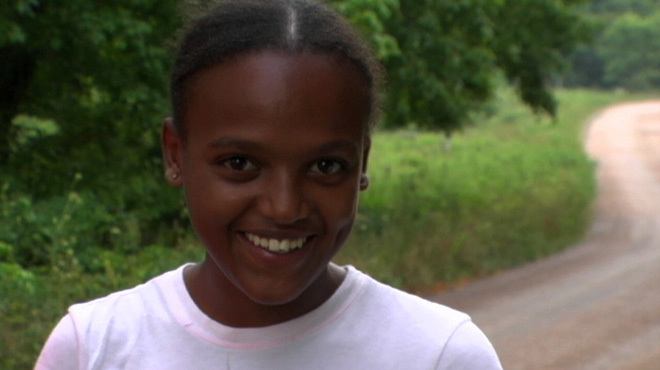 Girl, Adopted is a contemporary coming-of-age story that follows 13-year-old Weynsht from her orphanage in Ethiopia's capital city to an adoptive American family in rural Arkansas. The film captures an irrepressibly adolescent Weynsht as she works to figure out who she is in the aftermath of her adoption. 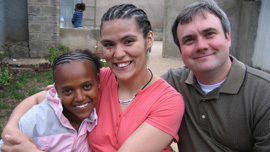 The film follows her struggle to find love among strangers in the U.S. and to understand what to make of this love on an unexpected return trip to Ethiopia. Weynsht's story offers a real-time, child's-eye view of being adopted across race and culture. Without taking a pro- or anti-adoption position, it acknowledges the complexity involved in this increasingly common experience. The film revolves around the central question: what is it like to get everything you need but to lose everything you know?